Several weeks ago, a Promoted tweet popped up on my Twitter feed. 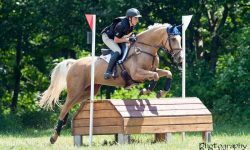 It was an informative article on saddle fitting, and I found it helpful enough to pass along here on EN. 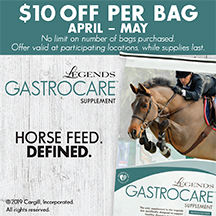 Total Saddle Fit sells an anatomical shoulder-relief girth, but there was no mention of the product in the article; it was commercial-free advice on saddle tree sizing. The post received over two thousand views on EN, so apparently many readers found it interesting as well. The next day, I received a surprising email from Justin of Total Saddle Fit LLC. 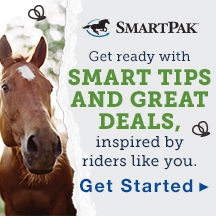 He thanked me for linking to his site, and offered to let me try his saddle fit-enhancing Shoulder Relief girths. 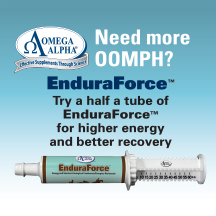 I was impressed with the company’s reputation and customer service, so I was excited to try the product and see how it measured up. The girths were on back order, so it took a few weeks for them to arrive: a short black dressage girth, and a long brown jumping girth. My first impression was WOW, nice leather! The underside padding is incredibly soft, smooth, and flexible calfskin. The outer side is sturdy full grain bridle leather. 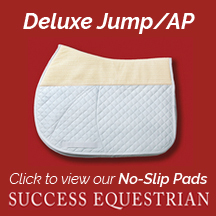 The roller buckles feature strong doubled elastic on both sides. 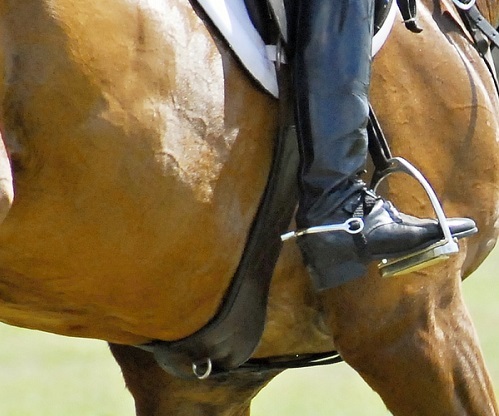 And true to form, the girths did have an anatomical squiggle shape to contour forward and around the horse’s elbows, while allowing the billets to sit farther back. 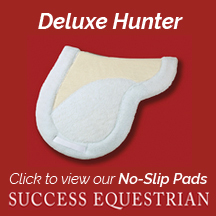 The company claims that the Shoulder Relief Girth’s contoured shape allows riders to properly position the saddle well behind the horse’s shoulder blades. 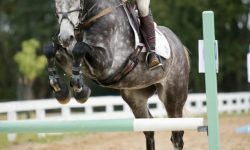 On some horses with large shoulders, a normal straight girth will tend to pull the saddle forward, as the girth wants to lie in a sweet spot directly below the horse’s withers. A saddle that sits too far forward can dig the tree points into the horse’s shoulders, making him sore. 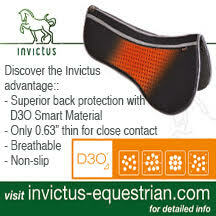 I tried the girths on three different horses, all Thoroughbreds. 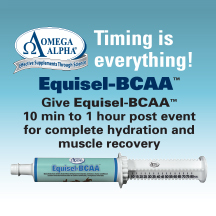 I was most interested to try it on my four-year-old gray filly who has an enormously long shoulder. Her shoulder sits very far back, and it can be a struggle to put the saddle in the proper position without a normal girth fitting around her middle like a western rear flank cinch. 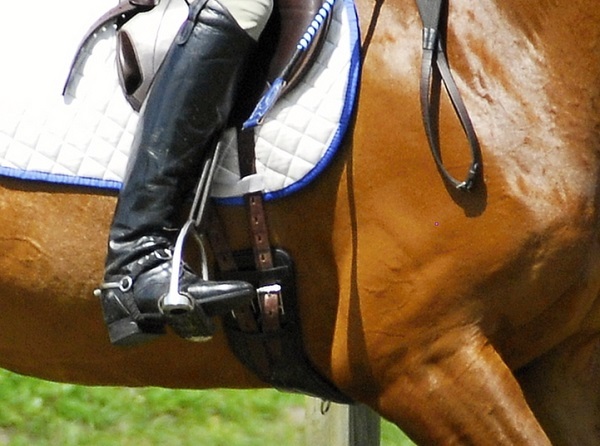 Total Saddle Fit’s girth performed as claimed: the buckle ends matched up where the saddle billets wanted to be, while the center of the girth curved forward to lie in her girth groove. Success! 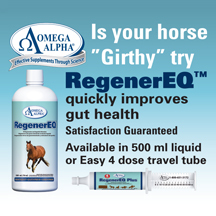 Trying the girth on horse number two, Aero, was also productive. Aero can be a bit sensitive with his tack, and he definitely seemed more relaxed and happier wearing the Shoulder Relief Girth. 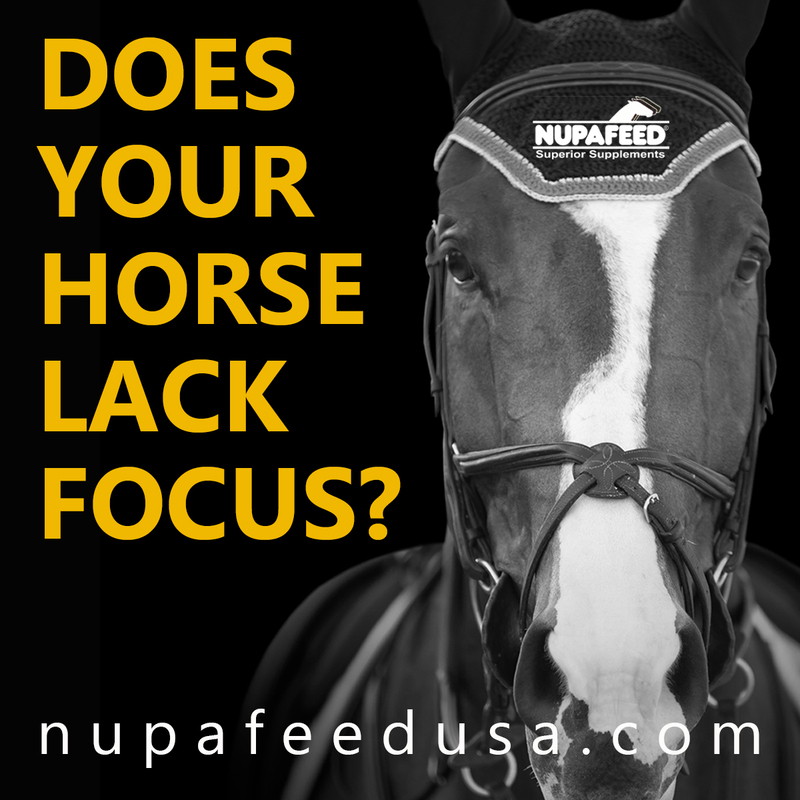 I can’t say with 100% certainty that it’s due to the girth…but when I switched back to a regular straight Professional’s Choice neoprene girth the other day, he was unhappy and tense at the mounting block. I swapped that girth for the contoured one, and he seemed more comfortable. Coincidence? Maybe. But I’ll take all the help I can get. 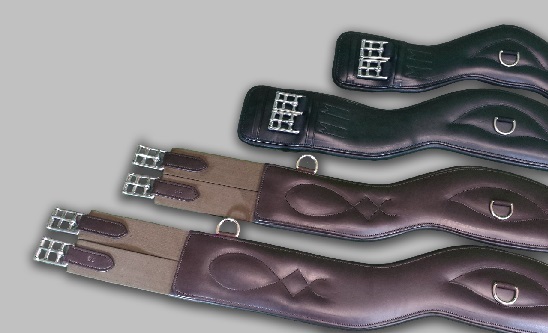 The short girth also has nice large billet keepers, making it easy to tighten the girth while mounted and tuck the straps in neatly (if you’ve ever tried to tighten your short girth on a squirmy youngster, you’ll appreciate this!). 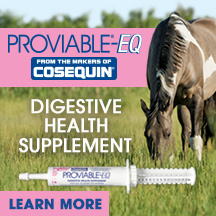 My training level horse is not the best individual to test this product. 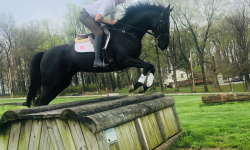 He is naturally short-backed and no matter where you put the saddle, any girth will always be in its proper “zone.” There’s simply not enough room on his anatomy to slide things back too far, it all ends up in the right spot. Still, I tried both the short and the long girths on him. I honestly could not notice a significant difference in his performance, but the girths seemed to fit well and did not rub him in any way. 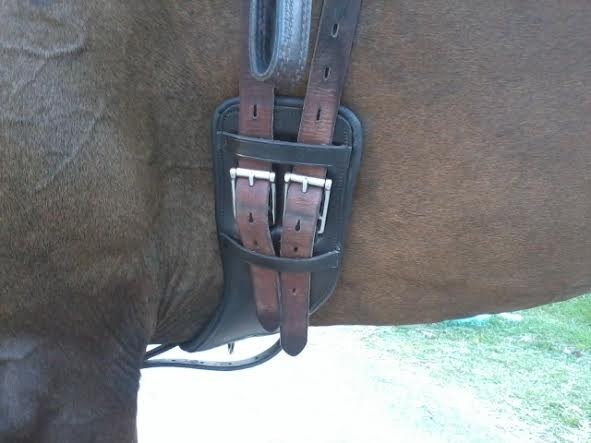 Both the short and long girth ran true to size (24″ and 48″ in my case) and are made to last a long time. 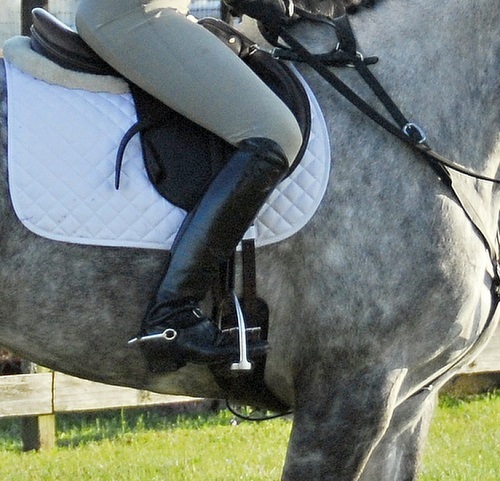 Overall, I am very impressed with the Total Saddle Fit anatomical girth. 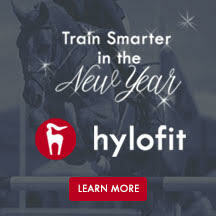 I would definitely recommend it for any horse with a big, long shoulder– and nearly any horse could benefit from a saddle sitting properly behind the shoulders. 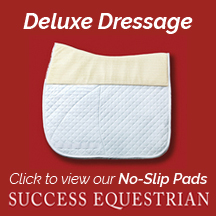 At about $125 for the short dressage version and $150 for the long girth, they aren’t cheap. However, the superior quality and workmanship is well worth the price, and easily comparable (or better!) 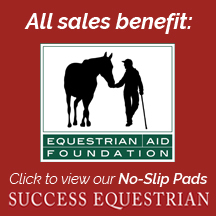 than the $300+ girths sold by French saddle makers. 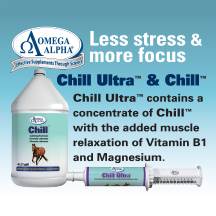 Plus, the company provides excellent customer service, and offers a 110% money-back satisfaction guarantee if you return the girth within 30 days. 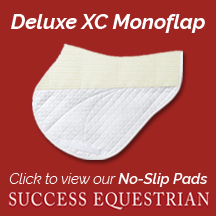 I’ve never paid more than $70 for a girth before…but after trying these, I am sold– it’s well worth the investment.